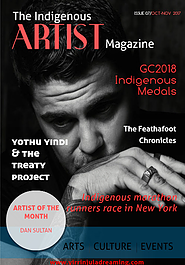 The creation of The Fethafoot Chronicles [FfC] Cairns, FNQ, Australia, Earth: “The Fethafoot Chronicles (FfC), had to be written for Australia’s holistic mental-health and future,” its author says. One of John’s heroes is David Unaipon, the aboriginal face on Australia’s fifty-dollar banknote, who said: “Perhaps some day, Australian writers will use Aboriginal myths and weave literature from them, the same as other writers have done with the Roman, Greek, Norse, and Arthurian legends”. Many years after reading this wish, I hope to have done Mr. Unaipon proud. 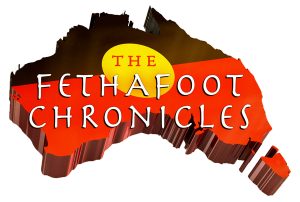 The creation of the ten  stand-alone fiction books known as “The Fethafoot Chronicles” (http://thefethafootchronicles.com.au), was made possible by an accumulation of physically debilitating construction work accidents to the author (Pemulwuy Weeatunga, aka John M Wenitong, @ http://thefethafootchronicles.com.au/about-the-author/). Accidents’ that finally achieved what life had previously been unable to do: slow – new Australian aboriginal author, John M Wenitong – down enough, to write down what he imagined of a vibrant life and people prior to the 1700 colonial invasion-settlement of our first people and their sacred lands. The stories were fuelled by an explosion of verifiable facts obtained while researching Australia’s and thus, Aboriginal history, for a University Course on Aboriginal history and culture that the author was teaching as part of a BA degree. 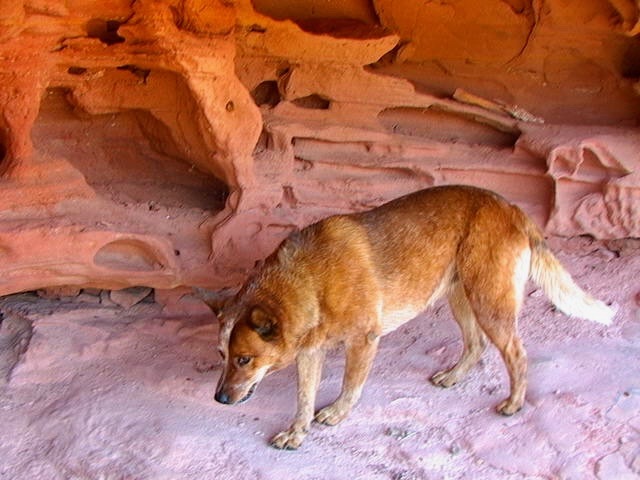 History and culture both modern and archeological but then, John says he was: ‘joyfully surprised to find details about his descendants and their sacred lands and management that were simply stunning in scope and revelation’. Suddenly, after reading about Australia’s pre-history of ice-ages, mega-fauna and volcanic activity in relation to the original inhabitant’s Dreamtime Laws (religion), that ran so irrevocably through everything and everyone in this land, John realized the enormity of what these people had created here in ‘the land down-under’ over those thousands of generations. T’were 65,000 thousand+ years of continuous occupation and successful survival for the people, the creatures and the environment – that handed modern Australia a blueprint; a practical foundation for a common, clean and successful future. It seems that these hardy intelligent people had learned to mediate, to negotiate, rather than go to violent war that forced one or the other ‘different group’ into death or slavery. That the first Australians had learned these lessons was easily exampled by the well renowned, six hundred plus distinct Tribes at first contact. Tribes that had fights, jealousies, wankers, woeful gender issues and other negative aspects to the society. However, the research also revealed many positive aspects to the concept of a huge disparate land and dignified people living under a common overall religion that included the land, the sea, the waters, the skies, the trees and all the creatures. This hardy, gifted, talented, peaceful people (there were no mass-killing weapons, nor slaves here, at first contact), had ‘gifted’ generations of holistic experience and knowledge of how to manage this land and its wonderful unique animals, and it and they were cast aside in an arrogant and superior gesture that left nothing of its pompous tone to the imagination: all for short-term, self-centered profit and long-term ownership and thus, more personal profit. Excerpt from the FfC#1 introduction: “…This trifling amount of information, should give you some idea of the Fethafoot and some of their abilities. You will discover more as you read the various Chronicles and, as the need for our hard earned, various skills occur throughout the accounts. Today, wherever you are on the great blessed, Mother’s skin – the joining place, between our world and the heavens – it’s now time to snuggle up somewhere ‘fav’, with the Mothers’ and the Great Spirit’s corporeal forms’ touching you: to give the life-giving fresh-air and perhaps if we are lucky, some of heaven’s warm, life-giving, dappled sunshine. Sit back comfortably there and utilize the fantastic gift that the pale-skinned, Ghost-people brought to our land – perhaps to yours also: the written word and the ability to decipher and understand such – which may be a small thing to the pale-skinned Ghosts, but an enormous and wonderful gift to the knowledge-hungry Fethafoot. Tchernaya Creek is a free story in PDF format. It’s a short fiction story about real pioneers and First Nation people, set in the area around Yarwun and Gladstone, Queensland. Visit the Read for Free page to download this book and other free reading! Hi readers and hopefully some fans of the FfC series. I have been having a busy time being human in the real world, and wanted to update any readers on what I am doing ‘writing wise’. The titles below are going concerns, with several 200+ pages long at present. However, the latest (below), has taken precedence because of the current situation between 1st nation people and other australians in our country. Almost all my fiction works are about my people, as many degrading stereotypes of Australia’s 1st nation peeps abound yet in this day and age in our country and around our world – and – they are simply untrue. The majority of my stories are also set in Australia – my home and one of the most freely available and stunning lands in our world. I currently have another 16 stories on the go. From Fethafoot warriors meeting aliens in the tale: “FfC V Aliens” [probably not the working title], through to ‘Shade Methaida’; an FfC warrior stuck in USA-Mexico modern-day, when a worldwide virus halts all international travel and collapses civilisation as we know it. FYI: many of my character’s names are anagrams of what their characters’ are and do. Others include: The Dept. of Truth, The Hitchhiker, Mama said, Man of Dreams, No choice, Perpetual motion, The dread Feel of a Man-thing, The Enforcer, The Quiet Billionaire, The Watcher & Wurth and the dog. To give some you idea of how my mind works when writing a story, the below are notes from when I began the story I am currently writing. Title: incitare ad iniquitatem © John M Wenitong, Q. 4703 Au. Gordian knot |ˌgôrdēən ˈnät|, Noun – an extremely difficult or involved problem. Ablative – The ablative case (abbreviated abl) is a grammatical case in the grammar of various languages; it is used generally to express motion away from something although the precise meaning may vary by language. Protagonists in order of creation as story progressed; NB: all Characters named are © John M Wenitong, Q. 4703 Au. 11 – ASIO officers: Edwards & Chan – assigned to the chase. Charlie ‘Power-man’ Choy: owner of several power stations nationally and the man organising – Mrs ‘Iris Thornton’ – aka – European assassin. Bumma Bippera Media 98.7FM is the first and only indigenous radio service in Cairns. Recently Pemulwuy Weeatunga dropped into the studio for a chat about all things Fethafoot!